What an honour it was to host Sea Wall with Andrew Scott last week, presented by Dublin Theatre Festival and produced by Paines Plough. Simon Stephens is an incredible writer so it shouldn’t come as a surprise that even the note he wrote for the show programme was wonderful. In case you didn’t get a chance to read his note, we’ve reproduced it here below, courtesy of our friends and neighbours, Dublin Theatre Festival. People often ask me which, of all my plays, is my favourite. I used to refuse to answer this question. My relationship to my plays is very much like my relationship to my children. I love them very much but equally. I understand they’re all, in different ways, flawed. If anything their flaws make me love them more. But then I wrote Sea Wall. While I am reluctant to concede that Sea Wall is my favourite of my plays, it is, I think, the one closest to me. It was a play commissioned by Josie Rourke when she was Artistic Director at the Bush Theatre as part of her Broken Space season in 2008 and revived at the Traverse, Edinburgh in 2009. The conditions of the commission were quite particular. I was asked to write a play for one actor to perform in a space using minimal, even natural light and I had three weeks to write it. The restrictions of the commission and the proximity of the delivery date forced me to write something more directly than I’d ever written before. I didn’t have time to do anything else. I was on holiday with my wife and my children and my father-in-law on the west coast of France when Josie contacted me. I drew absolutely from that holiday and from those characters. The culminating image of the play, for example, comes from a thought I had while out swimming in the bay surrounding the house we were staying at, watching my father-in-law play with my children. My wife is more present in this play than she is in any of my other plays. Although she is always somewhere, however hidden, in all of them. My fascination with science; my lack of faith in God; my love of yoghurt; the photographers who inhabit the building I work in; my feelings about putting on a wet suit, all define the play’s world completely. I drew from all of them because I had no time to do anything other. 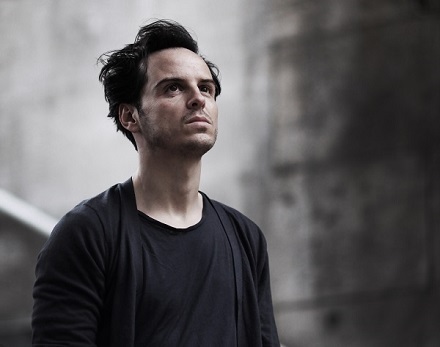 When I got back from holiday I had an email from Andrew Scott and I decided to write the play for him. His physicality and his tenderness and humanity freed me to move from speculating upon a world and a story to imagining a character. His presence and the restrictions of the commission defined the play and leant it a rawness that I wouldn’t have allowed myself if I had more time to write in. It is the play I have written which feels most unguarded to me. Sea Wall has been produced several times now, in various productions in various countries. I’ve seen a handful of these productions and am proud to have been a small part of them. It is the only one of my plays that I have ever performed or at least read out loud myself. Sometimes I’ve read it alone and sometimes, in countries where English is not the first language, alongside an actor. I am deeply touched by the grace and openness of all of the actors who have played Alex, because of all the characters I’ve written he is closest to my sense of self. But it was written for Andrew. It was written for his levity and capacity for depth. It was written for his lightness and capacity to look hard into a real darkness. For his wit and his capacity to articulate proper sadness. I heard his voice when I wrote Alex’s words. I saw his face and his body when I imagined the play. It means a lot to me that he is able to play the role one more time. It was also, I think, written for his Irishness. It’s a play about an Irish man in London. A man who sees the world from the perspective of somebody outside it. In that it is carved directly from my sense of self it is necessarily inspired by Irish writers and by the writers of Dublin in particular. As a seventeen year old boy I read Joyce and Beckett for the first time. I read Behan and O’Casey and Synge. It was they who made me want to be a writer. I know that it means a lot for Andrew to be performing Sea Wall in Dublin. It is something he has talked about doing for five years. It is, of course, for him a homecoming. It means the world to me too. As I sit in Project Arts Centre I’ll be thinking about those writers who inspired me as a teenager. I’ll be worrying whether or not my play would pass their muster. I’ll be bringing the play back to a city that a long time ago inspired me to write.